Amazon raised its minimum wage to $15 per hour for US employees from November, giving in to critics of poor pay and working conditions at the company. Jeff Bezos said in his letter that the wage hike has benefited more than 250,000 Amazon employees. "Today I challenge our top retail competitors (you know who you are!) to match our employee benefits and our $15 minimum wage," the billionaire entrepreneur said in a letter to shareholders. "Do it! Better yet, go to $16 and throw the gauntlet back at us." The online retailer raised its minimum wage to $15 per hour for US employees from November, giving in to critics of poor pay and working conditions at the company. 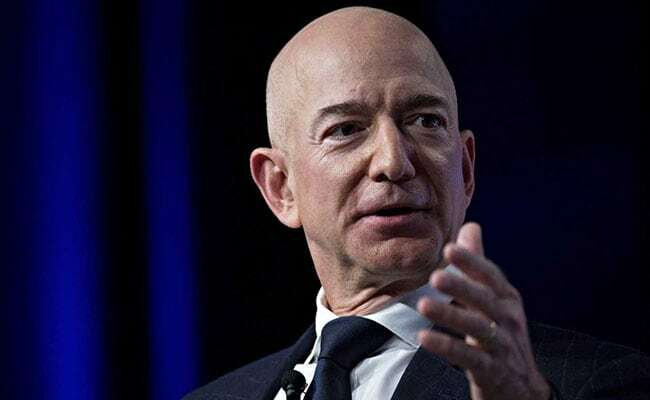 Some critics have said the hike was insufficient and note that Amazon paid zero US federal income tax on more than $11 billion in profits before taxes in 2018, and received a $129 million tax rebate from the federal government. CEO Doug McMillon has said Walmart's average US hourly wage is $17.50 including bonuses based on store performance, and excluding healthcare benefits.The two retailers, which are fierce rivals, rarely go after one another other publicly.Amazon's wage hike came as US unemployment was at a near two-decade low, with retailers and shippers competing for hundreds of thousands of workers for the all-important holiday shopping season. Bezos said in his letter that the wage hike has benefited more than 250,000 Amazon employees and over 100,000 seasonal employees who worked during the last holiday season at Amazon sites in the United States Amazon's third party sales in 2018 accounted for 58 percent of total sales, up from 56 percent in 2017, Bezos said. Amazon has said that it pays all the required taxes in every country where it operates, including $2.6 billion in corporate tax and reporting $3.4 billion in tax expense over the last three years. "Corporate tax is based on profits, not revenues, and our profits remain modest given retail is a highly competitive, low-margin business," according to recent Amazon statements.